As some of you may know, I’m a very big fan of the television show, “Community.” To fans of this show, it's frustrating that it has been routinely underestimated by NBC. It’s no surprise that they would do this after a few of their other decisions. Indeed, the only other television show I watch on that network is “Parks and Recreation,” another perennially underrated television program. Interestingly, when “Community” went on (it’s first) hiatus back in 2011, one of the shows it was replaced with was “Parks and Recreation” but I digress. Since that first hiatus, the program has undergone a ton of scrutiny and even more contention. Most recently, Chevy Chase has decided to exit the program, effective immediately. This raises some questions: Will this be bad for “Community”? Will there be a replacement? What does this mean for the future of the show? For starters, let’s talk about why this is probably bad for "Community". In the past few seasons, the character of Pierce Hawthorne has been more miss than hit. Don’t misunderstand, I think the character is important to the show, but this past season hasn’t seen him utilized particularly well. Unfortunately, the best possible scenario for Pierce has always been as an antagonist. His character just doesn’t seem to work when he’s in line with the rest of the group, especially when compared to the charisma of Troy and Abed. However, without Pierce, we would never have been gifted such episodes as the video game episode (Digital Estate Planning), the season 2 finale (he saves the school, after all), and most importantly, Advanced Dungeons and Dragons. I’m not saying that he’s the worst character, because let’s be honest; they all have their annoying moments. Remember when Troy was into sports? Yeah, I thought you might have forgotten about that. What I’m really trying to say is that, even though some of Chevy’s comedy is stale, his character, when it worked, added TONS of quality programming to the show. In my opinion, his leaving is a bad thing. With the exodus of Chase, it would seem there’s a position that just opened up on the show. The antagonist role of Pierce, made most famous by the Dungeons and Dragons episode, is one that has already been filled before: Senor Chang. If you ask me, however, when Chang fills that role, it’s not done as well as when Pierce wears the mantle. 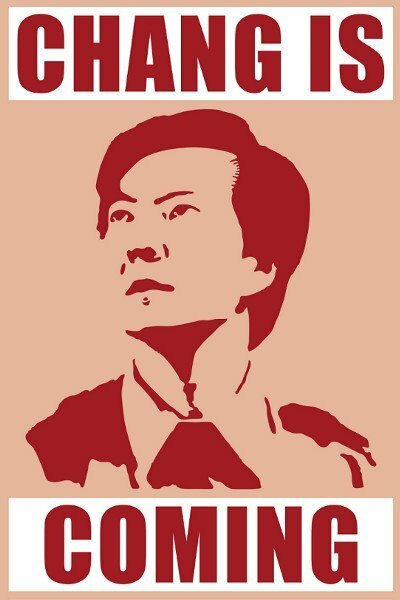 Chang has most benefited the show when he was in a position of authority. Never has his character been funnier than when he was their Spanish teacher. However, the show can’t continue with them having him as a teacher when they would only have him for 2 semesters, so they tried to move him to a different role. It is fairly apparent, when you think about it, that there were not many ideas of how to do this. For 2 seasons he just hung on and became crazier and crazier. During that time, he didn’t add anything to the show, he was just… weird. With Chase leaving, I’m betting that they are going to use Chang to fill those gaps. My hope is that he will become a saner person, because those episodes in which he was saner were much more entertaining. Take, for example, Senor Chang messing with his students in class. We get some fantastic scenes where he says things like “90% of Spanish is in the hand gestures”, or where he shows up with a boom box after tricking the class into thinking he was dead. Even better, when Chang wasn’t a crazy weirdo, we got the best paint ball intro ever. So on the question of if there will be replacement; I believe the answer is a “yes, with qualifications.” Chase added something to the show that only he could have, but the writers would be silly if they didn’t try to capture what he brought to the show by utilizing the other characters more. Whatever holes in the story would be there without Chase can fairly easily be filled by Ken Jeong’s character Chang, but I’m not sure it’ll be up to snuff. Ultimately, when cast members start leaving the show, it’s never a good thing. When I think about the potential future of “Community” I’m left with a sinking feeling. Chase isn’t the first person attached to the show that has left. Indeed, NBC fired the man who created the show, Dan Harmon. This doesn’t mean the show will necessarily be worse, but I’m fairly certain that it won’t be the same “Community” that we’ve grown to know and love. Fortunately, with his departure from the show, Harmon has ultimately benefited. Hmm, there’s an interesting coincidence of people benefitting after NBC has pulled the plug on them. Which brings me to my next point: I don’t think NBC really knows what they have with this television show. I’m well aware that Community isn’t a Nielson friendly show, but I also happen to be of the opinion that this system of ratings is entirely outdated. We live in a time where nerds like me are becoming more and more common. Why I bring this up is because I watch the show on the Internet. Yes, I watch it on NBC’s website, which is horrible. Their website only contains about 4 or 5 episodes from the show, and they don’t appear to be in any particular order. Why doesn’t NBC do what Comedy Central has done and place some ads online to generate revenue. The internet is probably just a fad, though. My point is that many people these days don’t pay for television cable boxes (what is used to determine Nielson ratings). In my case, I opted to save money by using the internet exclusively (with Netflix... love/hate relationship there!). What I’m trying to say is that, with the economy being pretty bad still, young people who haven’t been working for 15 years, and haven’t established themselves, a going to save where they can. Frankly, we can't go without the internet. We grew up with it; this is how we connect with the world. NBC continues to alienate this crowd of people, and it’s going to be interesting when the boomers start dying off, leaving us as their only potential viewers. Have fun with that, NBC. Ultimately, I’m disappointed in what’s happened to the show. It’s clear that Chase wasn’t utilized well as a character, and thus it’s not surprising that he would have left the show. Among the characters that remain on the show, we need to see more from Chang and Shirley. I like both of these characters, but often times it seems that there really isn’t a good place to put them. That’s not to say that there haven’t been times when it’s been good to have them around. Each of them has brought positive things to the show. It’s my opinion that Chase is completely justified in leaving the show, and it’s also my opinion that his leaving will be bad for the show in the end. If I had to pick one character to leave the show, it wouldn’t have been Pierce, but the choice has been made by fate. Perhaps this will be a serendipitous occurrence, now that the fat has been trimmed (or the fat will be turned into muscle, more like). I’m eager to see what is going to happen, and I choose to take a stance of cautious optimism. Nevertheless, despite my hope, the logical side of my brain is telling me this is not a good thing. Why Would Padme Love/Like Anakin? The best example of why she would like him is based on his personality from when he was a child. Padme meets Anakin for the first time while she was posing as a handmaiden of the queen’s. During this time, she goes into Mos Epsa with Qui-Gon Jinn (a city on the desert planet Tatooine… where Luke Skywalker is from). While in the city, they come across a junk dealer who happens to have a slave boy who is gifted in maintaining and fixing robots and electronics. In one of the first scenes, we see Anakin as he addresses Padme, “Are you an Angel?” That’s a pretty sweet line for a 10 year old kid… especially when he uses it on a 17 year old girl. The comment takes Padme aback, and you see her laugh. When you realize that he’s being genuine and that, as a child, he’s not looking to pick her up, it means a little bit more. The kid is honest to the extent that he can’t be dishonest. This is a feature we see in Anakin later in the films. Take, for example, Anakin’s exchange with Obi-Wan Kenobi on Mustafar. While the lava is crashing all around them, Anakin never once tried to deceive Obi-Wan to the point that he could take advantage and win the battle in cold blood… deception just isn’t part of who Anakin was. Knowing that deception isn’t part of Anakin’s meddle, we could argue that he didn’t try to use simple tricks on Obi-Wan because he was overconfident in his abilities; he didn’t perceive Obi-Wan as any threat. Well it turns out that confidence is an attractive quality in a person. 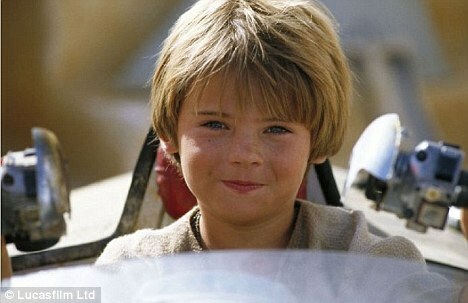 In the case of Padme, she met Anakin as a boy who was going out pod racing for the first time. Without his confidence, he probably would never have tried the race… and he definitely would never have won the race. As with most professional sports, a major contributor to peak performance is having confidence in oneself. In the case of Anakin and Padme, little Anakin wasn’t showing off when he said that his pod racer would win… he was confident in his own, considerable abilities. I shouldn’t have to argue the merits of confidence when searching for a mate, but it’s a valid point to make: people are drawn to people who are confident. Most of us dabble in uncertainty for a lot of the time, which is why we find people who are certain about themselves and their decisions to be attractive. Being confident, Anakin had a personality that allowed him to be very outgoing. Anakin wasn’t only outgoing, however, he was willing to help others no matter the cost. Apparently Anakin made this, too! Being willing to help others is a powerful way to attract friends. In the case of Anakin, he hardly knew the Jedi or the pretty girl he escorted, but he was willing to invite them into his hovel at no cost. Anakin immediately accepted these strangers and treated them as friends, a quality that can be extremely helpful when you want to get something done. It was during this time that we get to see how Anakin responds to his mother: he devotes most of his free time to helping her. Knowing that he’s a slave, we can figure that he probably doesn’t have much free time. Nevertheless, Anakin has spent plenty of time making droid helpers and random robots to help his mother with the daily chores and responsibilities so that she can have more time for herself. That kind of selflessness is a rare thing, and is another quality that people find compelling. What’s interesting to note is this: where was Anakin’s selflessness in the later films? There are plenty of opportunities where he could acquiesce to the requests of the Jedi Council, but instead we see his pride and arrogance take over and ruin a chance to mend ties with the other Jedi. In fact, the only people that Anakin seems to want to help are those that he calls his friends. This brings me to another positive quality in Anakin: Loyalty. In the first three films, we can see that one of the most outstanding qualities in Anakin is that he’s extremely loyal to his friends. 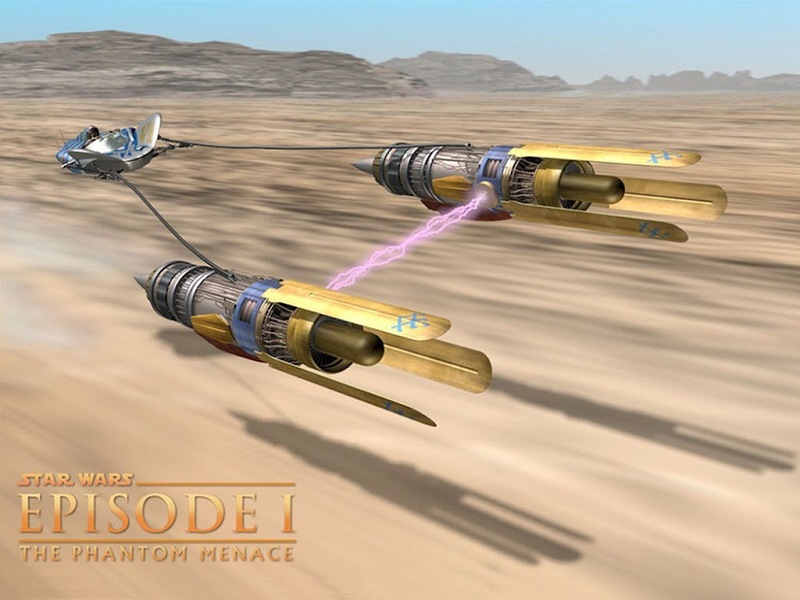 In particular, there’s a scene in Episode III (during the opening battle sequence) where Anakin goes out of his way to save his friend Obi-Wan. While fighting Count Dooku, Obi-Wan gets knocked out. While he's unconscious, Palpatine attempts to appeal to the logical side of Anakin in saying that they should leave him, arguing that there isn’t enough time. Being that the audience knows that Palpatine is just trying to get Anakin to slide further toward the dark side, we understand why he would say this. However, to Anakin’s credit, he is extremely steadfast with his decision to save Obi-Wan. Furthermore, we see Anakin put the interests of his friends well before his own on other occasions. There is one instance in Episode II where Anakin tries to save Obi-Wan (and fails) which ultimately results in his being captured at the arena. By taking this action, Anakin has illustrated his dedication to his friend and mentor. So loyal is he, that he will gladly enter a no-win situation in order to try and save those he cares about. So what happened to Anakin? Over the course of these three movies, we see Anakin more as a Jedi and adult than how he was as a kid. As I’ve just illustrated, he still retains many of the characteristics that make him a person to admire and want to be with. However, with being as skilled and confident as he is, Anakin ultimately develops other characteristics that take the forefront of his personality… characteristics that Palpatine is careful to manipulate. After being told he is the Chosen One from Prophecy for many years, and after excelling at all the tests given to him by the order, Anakin develops an ego. We see certain scenes where Palpatine tries his best to stoke the fires of Anakin’s pride… leading to arrogance. It certainly didn’t help that Anakin had an almost legendary fame in the galaxy, further separating him from his peers. For much of these films, we see Anakin as an arrogant, headstrong, and impetuous person. These qualities are not as desirable as the others, but they can be closely related given the proper context. It is my belief that most of these qualities were not observed by Padme in their relationship. In fact, there’s a brief series of scenes in Episode II where Anakin is chatting her up at some retreat in Naboo. It’s here that we see he is perfectly capable of being outgoing. Not only is he confident, he’s showing he’s intelligent and that he’s interested in her. These things all coupled together make a powerful combination that can be difficult to resist. Ultimately, I think it’s pretty clear how these two people ended up. While their lifestyles are certainly quite different, the pair of them have endured a lot together since they’ve known each other. Two people going through harrowing circumstances often end up being very close to each other. Beyond this, however, I’ve shown what Anakin is actually like. He was a boy from a backwater planet who ended up with some very admirable qualities. This, coupled with an innate talent for many things, makes him a very likable kid. It’s not surprising that, given their history together, Padme would find a person with these qualities attractive. Think about it, it’s all right there in front of us. Disagree? Let me know in the comments below!